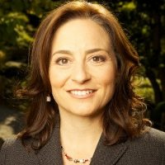 Naomi S. Comfort, San Jose estate planning attorney and founder of Silicon Valley Elder Law, PC, has nearly 15 years of experience representing California elder law clients. With an undergraduate degree in psychology, emphasizing mental health, attorney Comfort has a wealth of experience dealing with issues of incapacity in the elder context. Clients throughout the San Francisco Bay Area trust us with their elder law needs. At Silicon Valley Elder Law, PC, our lawyers provide a warm, friendly environment for our clients to be comfortable. We focus on listening to each client's story and objectives, so we can provide legal solutions focused on each client's individualized needs.